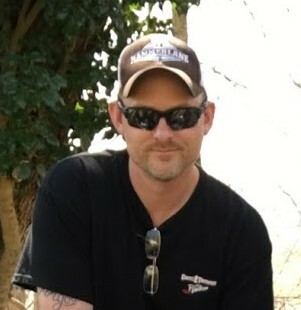 Corey B. McCaslin, 39, of Port Washington, Oh passed away on Tues, July 3rd following a trucking accident in Idaho. He was born on March 24, 1979 in Dennison Oh. He was preceded in death by his grandparents, Wayne and Peggy McCaslin of Steubenville, OH and Robert and Mary Hamilton, of Brilliant Oh. He is survived by his parents, Wayne and Jayne McCaslin of Scio, a brother Ryan (Kelli), niece Penelope, nephews Donovan and Conor of Lancaster, Aunts Jeanne Porter, Beth (Dale) Langenfeld and Trudy (Tom) Bright. Corey followed in his father's and grandfather's footsteps and drove truck. It's all he ever wanted to do. He was employed by Chance 2 Transport of Holmesville Oh for 10 years. Corey and his employer (friend), Rod Miller shared their love for trucks. Corey traveled all over the country to truck shows representing Rod and his beautiful trucks bringing home many trophies and awards. Corey loved to polish and shine those trucks. He always said his favorite color was chrome. Corey proudly served his country in Iraq from 2004 to 2005 with the 660th Transportation Company from Cadiz. He has never forgotten the sacrifices that that were made and kept in close contact with many of his fellow soldiers. Many of them are truck drivers as well. Corey was a happy, fun loving guy. He did what he loved to do. He loved driving truck, going to every truck show he could. When he was 15 years old, he bought his first car, a 1970 Chev Chevelle, which he still has...taking it to car shows as well. But most of all, he loved family. With no children of his own, Penny, Donovan and Conor were the "twinkle" in Corey's eye. And he will be forever the "twinkle" in ours. Services will be held Tuesday July 10th at 1:00 PM in Scio United Methodist Church, 117 Maple Ave., Scio with Pastor Mike Cunningham officiating. Burial will follow in Pleasant Valley Cemetery near Tappan Lake. Friends may call Monday from 2-4 and 6-9 PM also at the church. Koch Funeral Home in Scio has been entrusted with his arrangements.